For general inquiries, please contact the MCB Equity Committee at mcb-diversity@berkeley.edu. Also, please see the MCB Department's response to the 2017 Executive Order on immigration. Stress is known to be a negative effector of academic and intellectual achievement. Thus, we also seek to establish and maintain a climate within MCB that is supportive and inclusive independent of one’s beliefs, disabilities, ethnicity, gender, sexual orientation or socioeconomic background. Even with the best of conscious intentions, our evaluations and interactions with others can be affected by unconscious biases; even members of a given group may hold a bias against hiring or recruiting individuals those from their own group. Think this doesn't apply to you? Take an "implicit association test". Whether you are a prospective or current member of MCB, you are encouraged to contact the MCB Equity Advisor or others on the MCB Equity Committee with any questions or concerns. Links to other diversity-related resources and programs at Berkeley are provided below. For concerns about campus accommodations for students with disabilities, please check out Berkeley's Disabled Students' Program. This program is dedicated to supporting students and collaborating with the campus community to remove barriers to educational access and embrace the University's values of equity and inclusion. We here at Berkeley believe that an accessible environment universally benefits everyone. For particular concerns about access to MCB buildings, labs, and classrooms, direct questions to our MCB Equity Advisor, Professor David Weisblat. Students currently at Chabot and Merritt Community Colleges can pursue involvement in the Bridges to Baccalaureate Program. The purpose of the program is to increase the pool of community college students from underrepresented backgrounds who go on to research careers in the biomedical sciences and will be available to participate in NIH-funded research. Interested students can contact Dr. Gary Firestone, glfire@berkeley.edu, for more information. The Center for Educational Partnership's Transfer Alliance Project is a highly successful academic advising and enrichment program that prepares under-served community college students throughout California to be competitive transfer applicants to UC Berkeley and other four year colleges. For more information, please contact schoon@berkeley.edu. The NSF Summer Research Experience for Undergraduates (REU) is a summer research opportunity open to undergraduates who are attending a 4-year college or university. This program is designed to expose participating students to core Molecular, Cell, Developmental, Evolutionary, and Ecosystem Biology. This program is aimed at promoting diversity in the national biosciences workforce. Inclusive MCB (iMCB) is an initiative to promote an academically enriching and supportive climate that allows all graduate students of our community to become influential, inspiring future scientists. The Office for Graduate Diversity serves as a resource for the admissions process, academic support, financial advice, and professional development. It also provides a forum for ideas and programs designed to enhance the educational experience of underrepresented students, including those who are undocumented, first-generation college students, and those who are educationally and financially challenged. For more information, contact their offices: grad.diversity@berkeley.edu. Check out Berkeley's local chapters of SACNAS for undergraduates and graduates, as well as their national website -- SACNAS has a very strong Bay Area contingent and fosters the success of Hispanic/Chicano and Native American scientists. The Amgen Scholars Program is a national program to increase research opportunities for students committed to pursuing careers in the sciences. Learn more and submit an application here. 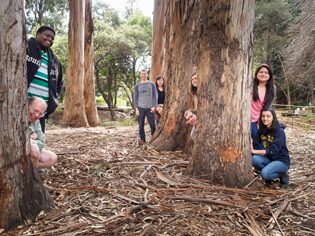 The Biology Scholars Program (BSP) at UC Berkeley is a program that supports underrepresented students pursuing degrees and careers in the biological sciences. It challenges the "by the numbers" popular view (e.g., SATs and high school GPAs as good predictors of success) about who can and should do science. Over the past 20 years, of the 2080 BSP graduates, 60% have been underrepresented minorities (African American, Hispanic, and American Indian), 70% women, and 80% from low-income backgrounds and/or the first in their family to attend college. California Alliance For Graduate Education & The Professoriate is a partnership between four leading California universities to ensure that underrepresented minority (URM) Ph.D. graduate students and postdoctoral scholars from our alliance institutions aspire to and populate the ranks of the postdoctoral population, the faculty at competitive research and teaching institutions, the federally funded national laboratories, and scientific think tanks. 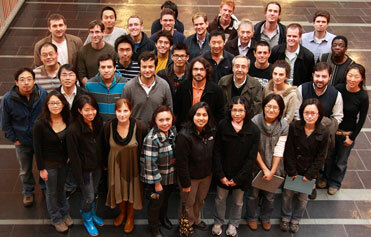 SynBerc is now offering a Certificate in Synthetic Biology for undergraduates. It's for students who have an interest in synthetic biology and want to meet like-minded undergraduates and graduate students and learn from leading researchers in the field. They also have great diversity-related resources. The Annual Biomedical Research Conference for Minority Students (ABRCMS) is one of the largest, professional conferences for underrepresented minority students and students with disabilities to pursue advanced training in science, technology, engineering and mathematics (STEM), attracting approximately 3,600 individuals, including 1,900 undergraduate and postbaccalaureate students, 400 graduate students and postdoctoral scientists and 1,300 faculty, program directors and administrators. The department of MCB also supports two separate undergraduate clubs: MCBcDNA and MCBUSA. These are great ways to connect with other MCB students and get involved in academic and social activities. As mentioned above, Berkeley's Disabled Students' Program is dedicated to supporting students and collaborating with the campus community to remove barriers to educational access and embrace the University's values of equity and inclusion. Thriving in Science is a great and inclusive community on campus organized by, and for graduate students and postdocs in STEM. TiS is a campus-wide professional development initiative at UC Berkeley intended to provide graduate students and postdoctoral researchers with the resources and support to make the most of their academic training. It seeks to spark a conversation among younger-career scientists about how to have a fulfilling career in science. The premise of this program is that scientists can improve their chances for success in their careers by working together to address many of the personal challenges and issues that often limit them. A new group that provides peer support and guidance for MCB graduate students. Members are 5th and 6th-year students who span all five divisions and who have been trained in peer support by Counseling and Psychological Services. The group holds events and is constructing a website for MCB graduate students with peer-reviewed campus and community resources geared toward cultivating emotional, physical, and mental well-being. For more information, contact mcb.grad.network@gmail.com. 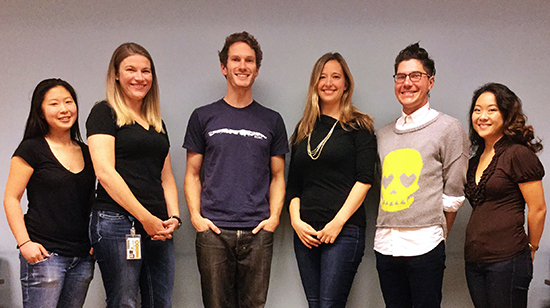 MCB Grad Network core members, from left to right: Jaclyn Ho, Jennifer Cisson, Drew Friedmann, Wendy Ingram, Christopher Alvaro and Rebecca Lu. Our mission is to provide excellent support to graduate students, faculty and the University in its mission of research, education and public service. Contact mcbgao@berkeley.edu with questions. Check out the resources for our undergraduates on our website or on Facebook, or email mcbuao@berkeley.edu with questions. 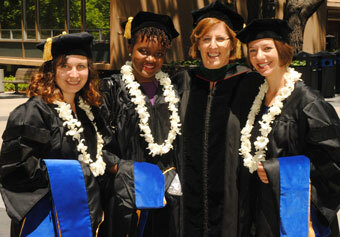 Audrey Knowlton, knowlton@berkeley.edu, Graduate Diversity Director for the Biological Sciences. RISE at Berkeley (Rising Immigrant Scholars through Education). 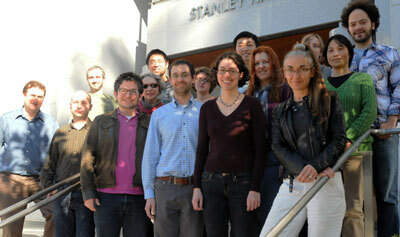 oSTEM at Berkeley (Out in Science, Technology, Engineering, and Mathematics). 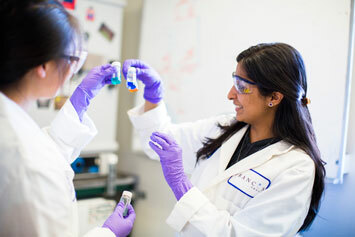 Cal NERDS New Experiences for Research and Diversity in Science. Society for Women in Science at UC Berkeley. And for science outreach to under-served communities, check out Science@Cal and Community Resources for Science.